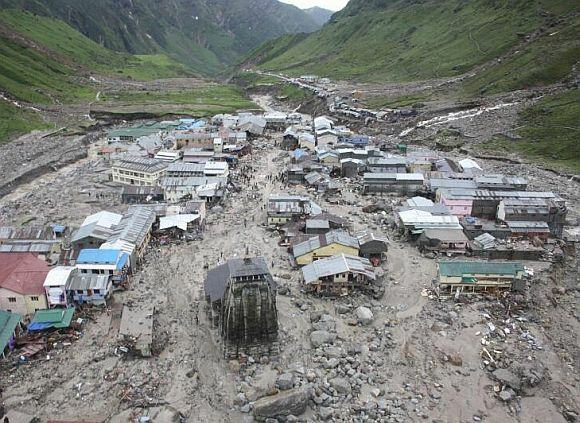 On the morning of the first anniversary of the disastrous cloudburst in Kedarnath, I found myself walking amid the rubble, recalling the beauteous meadows I'd seen when I'd last visited years ago. The town looked like a gigantic construction site; the ruined buildings hadn't yet been rebuilt, and the once-bustling temple town was relatively deserted. I wandered pensively, unable to shake off the unsettling feeling that the tragedy has only just occurred. Just then, I came face to face with a young sadhu dressed in fake leopard skin, eyes mad with charas (cannabis) even that early in the morning. His long hair was dirty and matted, and body was covered in ash. The sadhu cavorted and posed, clearly for the early rising shutterbugs who'd managed to reach there. In some sort of manic trance, he was leaping wildly from boulder to boulder, pausing only to perform push-ups on the ground. When a pilgrim came too close with his camera, he snarled and bared his teeth like an animal. His audience skittered in alarm and began to move towards the inner sanctum of the temple. Seeing the onlookers leave without giving him alms, the strange sadhu spat disgustedly, dropped his act and lit his chillum, pipe. Sitting on a boulder nearby, I saw him suddenly begin to shake and tremble. "I can't see Shiva!" he began to mutter over and over again. "Even though I'm smoking this chillum outside his house, I can't see Shiva!" The other sadhus tried to calm him down, but he was like one possessed, shouting loudly that Shiva no longer lived in Kedarnath. "He's a madman," said a portly Naga sadhu who sat down beside me to watch the spectacle. "Don't be afraid. He comes here every year as do I, and every year, I find the drugs have addled his brain a little more." The crazy fellow heard us talking and came bounding towards us. He said, "I'm not mad! Every year, I make the long trek to Kedarnath to share my chillum with Shiva himself. This year, he's gone!" The sadhus gathered around him, trying to shush him down. I surmised it couldn't be good for business if too many pilgrims heard him say that Shiva had left his temple. "People here take the words of sadhus very seriously," said the Naga sadhu. "This won't do! We must control him!" 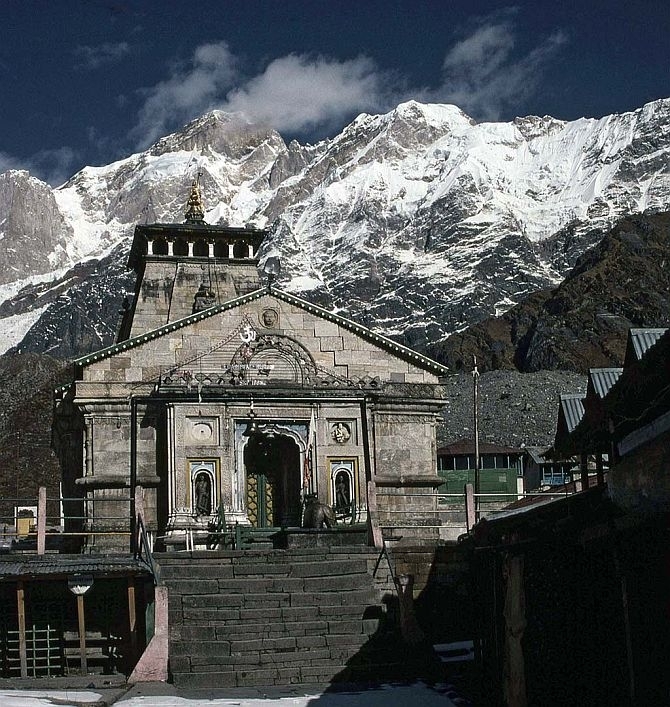 A priest recited a Sanskrit shloka which said that Kedarnath was Shiva's abode. "So how can he leave his own house?" he tried to reason. But the mad sadhu refused to pipe down. He retorted, "Shiva must have seen how people like you were looting the devout in his name for the last few decades. When he could not tolerate it any more, he assumed his angry form, and wrecked destruction upon Kedarnath!" Helicopter-loads of pilgrims were now beginning to converge near the temple. The mad sadhu's rants were attracting a fresh batch of onlookers. Seeing them, he again started leaping over boulders, dreadlocks streaming behind him. One woman screamed as he jumped close to her. The situation was fast getting out of hand. Just then, my portly Naga sadhu friend had a bright idea. "Let me refill your chillum, my friend," he said. "I've carried some very good stuff with me." The mad sadhu brought his chillum forward to be filled and lit his pipe. The dope must have been really good for he took a couple of long drags and went into a quiet trance. The sadhus returned to their places for the tourists to give them alms, the priests went inside the temple to conduct rituals and prayers, and a dubious peace reigned once again amid the ruins of Kedarnath. 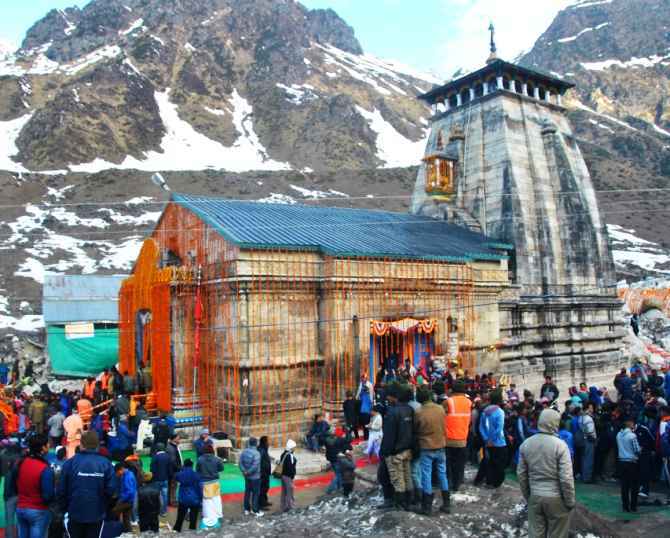 Did ASI do a shoddy job at Kedarnath temple?